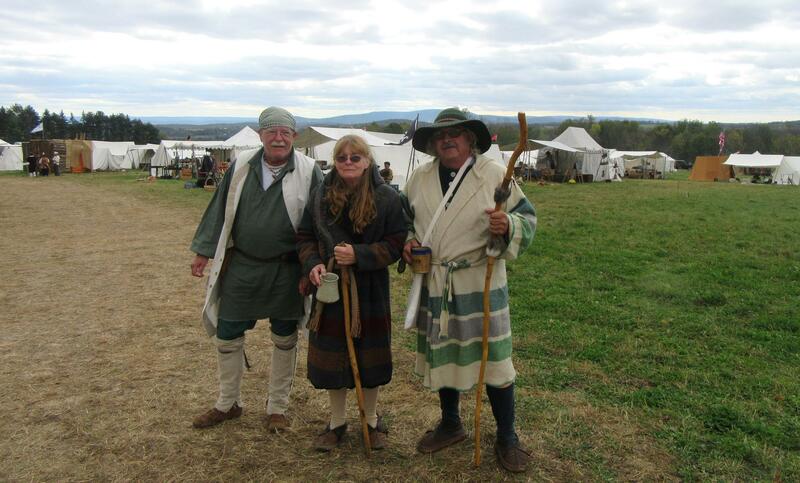 Members of the Endless Mountains Primitive Outdoorsmen, including (top, from left) Jerry Smith of Rome, Bradford County; Artie Durkan of Thorndike, MA; and Rodney Arnold of Bumpville, Bradford County, were among those to welcome more than 600 members of the National Rendezvous and Living History Foundation to the East Smithfield/Milan area for the annual Eastern Primitive Rendezvous from Sept. 23 to 30. In these days of instant gratification when almost anything one needs can be acquired with the click of a mouse, it would be hard for many to believe that hundreds of people who are keenly aware of technology and how to use it would chose to leave it all behind for a week and live as early American settlers would have. Such is the wont of members of the National Rendezvous and Living History Foundation (NRLHF). 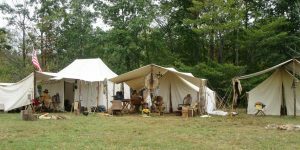 This year, the Endless Mountains Primitive Outdoorsmen (EMPO) had the honor of hosting the Eastern Primitive Rendezvous on the farm of member Steve Pruyne and his sister, Rose, near East Smithfield in Bradford County. 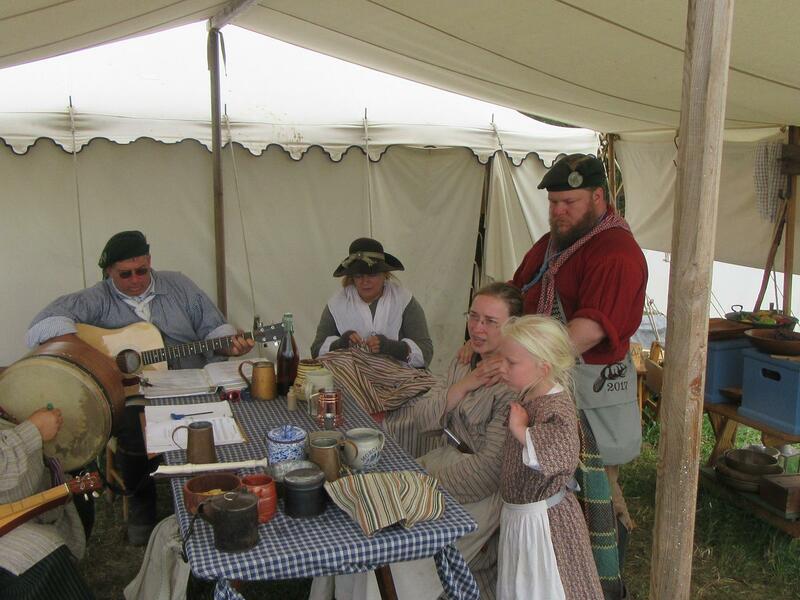 By the sixth day of the week-long event, more than 700 area residents had visited the site, which became a temporary village of 680 residents ceding to lifestyles more common between 1640 and 1840. “We don’t re-enact anything,” said EMPO member Roxy Wells of New Albany. “We just relive history and try to keep the way of our ancestors.” The NRLHF has been holding these events for more than 40 years, she noted. 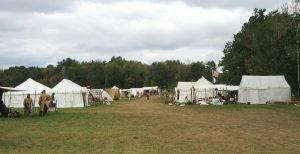 This was the closet to home that a rendezvous had been held since one was hosted in Tioga County in 1992. Roxy’s husband, Dave, served as the event’s “booshway,” derived from the French word bourgeois for “person in charge.” Chris Denmon was the Segundo, or “second in charge.” Dave and Chris not only preconceived the layout of the village, including cleverly concealed latrines and water buffaloes, they coordinated the schedule of activities that kept participants of all ages busy from morning to night. Though “primitive” may seem vague in its interpretation, 200 years of history provides participants with a wide array of personae to employ. 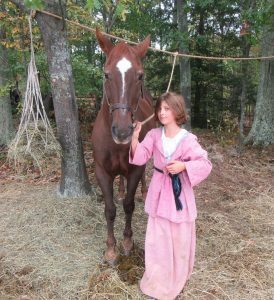 Roxy explained that there are mountain men, fur traders, and Eastern long hunters, as well as military buffs focused on either the French & Indian or Revolutionary wars. Being the melting pot that early America was, participants may also represent Native Americans or early immigrants still adhering to their “old country” mannerisms. Dave takes on the role of a fur trader, proudly displaying a variety of animal furs and the instruments used to procure and process them. Fur traders would rendezvous only once per year, he said, to sell the pelts they had amassed in hopes of making enough money to purchase supplies at the camp to get them through the next winter. That was unless, as Roxy noted, drinking got the best of them, and they depleted their earnings too quickly. So, where there were settlers, there were also “sutlers,” or vendors. And Sutlers Row at the Eastern Rendezvous is how most people, especially the public, enter the camp. In addition to those selling produce and crafts, sutlers include “blanket traders” who literally lay out the offerings of the day on blankets near their tents. Lillian Fuller of Saratoga, NY, sat near her tent just off Sutler row on Sept. 28 pealing potatoes. “This is a great spot,” she said of the view of the hubbub along the village’s “main” street and the vista of Ulster, Smithfield, Burlington, and North Towanda townships to the south. Fuller (above) estimated that she has been a rendezvous participant for at least 24 years. 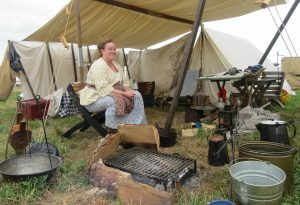 When asked what the most popular features of the encampment have been this year, Roxy indicated that the answer differs among those who actually live there for the week and those who visit. 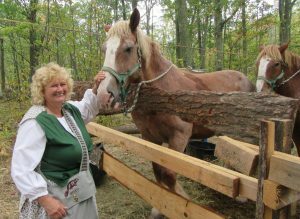 A team of Belgian horses named Tony and Ted (above, with Roxy) pulling a wagon through camp each day to remove rubbish and deliver ice proved popular with the inhabitants, who had never endured such heat as this September produced. For the school students who visited on Education Day, Sept. 26, the village blacksmith, Mel Stafford of Wellsboro, was deemed the most engaging. 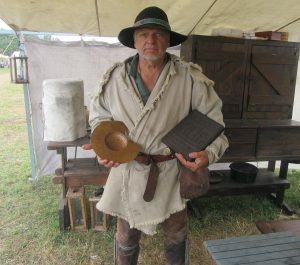 Among the artifacts that Mel (above) shared with the children was a hard brick of tea weighing about five pounds that he said was similar to that which rebel patriots would have famously tossed off the ship in Boston Harbor. He also showed them a “bleeding bowl,” which was infamously utilized by undereducated barbers, who also fancied themselves as doctors, for blood-letting to cleanse the body. According to Mel, excessive blood-letting led to the death of President George Washington. Katherine was also enamored by “the fact that everyone there kept in character for that time period. 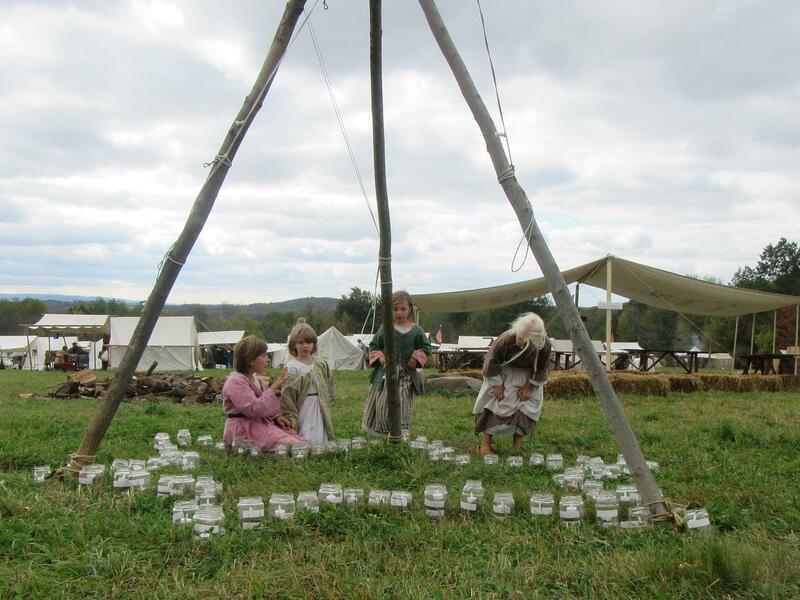 When the kids would ask questions about current items (like electronic gadgets), the people there played it off that they had no clue.” Youngsters, who also included more than 100 home-schooled students, took part in quill pen writing experiments and supervised archery. Keeping rendezvous participants in line with the exclusion of modern gadgets is serious business, and a pair of men on horseback routinely conduct a “watch” to prevent “pilgrims,” as rendezvousers call the public, from entering the private areas of the encampment, and to encourage participants to extinguish flashlights and cellphones at night. The number of children who participate in the rendezvous with their families is immediately apparent to visitors. Roxy related that they bring their lesson plans to the event with them and meet for school for two hours each morning. The youths gather again for special activities each afternoon. 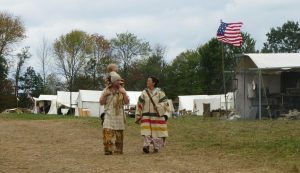 The school marm for this rendezvous was Uhma Ruth Py, a retired Pennsylvania school teacher of Native American ancestry from Bucks and Lancaster counties. “Uhma” is a Lenape Indian word for grandmother. 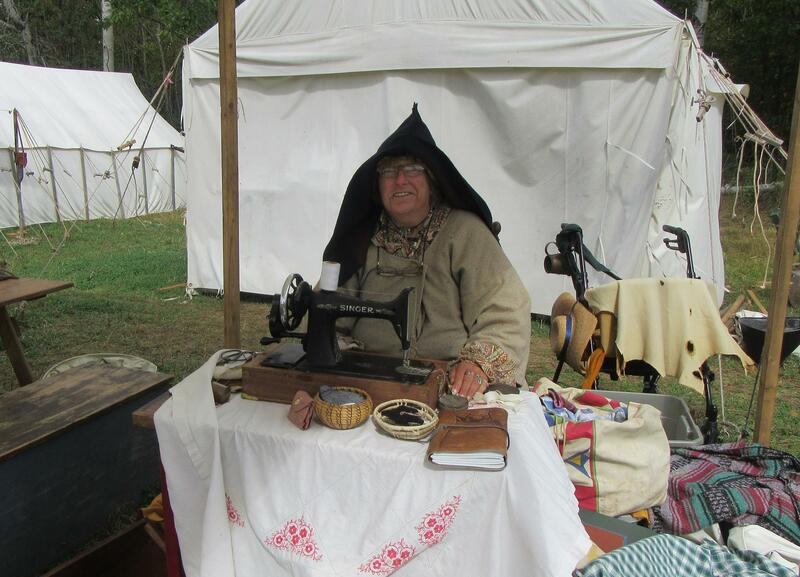 Ruth (above) was often seen sewing with a treadle sewing machine between classes. The Eastern Primitive Rendezvous continues through Saturday, Sept. 30. Cost for admission for “pilgrims” is five dollars per adult. To learn more, interested readers can log on to www.nrlhf.org. The official address of the event is 3021 Locust Road, Milan, PA, 18831.